Communicate clearly up to 350 feet away from your desk, with the CS510 Monaural Wireless Headset from Plantronics. Designed to connect to your desk phone, the CS510 sports a sleek, lightweight design and has been comfort-tested. One-touch controls on the headset allow you to answer or end calls and adjust or mute the volume. 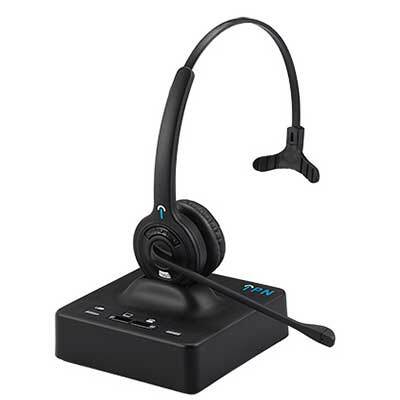 The system also enables you to conference in up to three additional headsets for easier collaboration. The headset offers up to nine hours of talk time and is designed to be worn over-the-head. One-touch controls on the CS510 Wireless Headset allow you to answer or end calls and adjust or mute the volume. The system also enables you to conference in up to three additional headsets for easier collaboration. The headset comes equipped with DECT 6.0 technology that allows you to talk hands free up to 350 feet away from the base. In addition to DECT technology, the CS510 offers wideband audio for clearer phone conversations. The headset’s noise-cancelling microphone filters out background noise and enhanced Digital Signal Processing (DSP) makes voices sound more clear and natural. A sleek magnetic charging base is included with the CS510. An adaptive power system optimizes for range and talk time by automatically downshifting to low power when the headset is close to the base to save battery life. 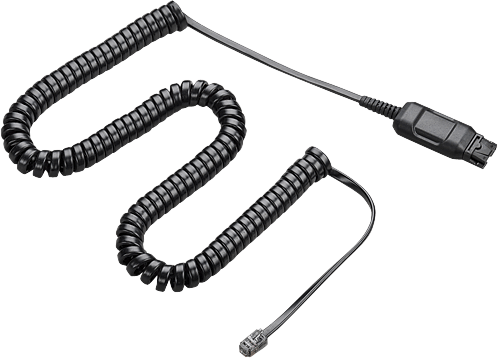 Plantronics also offers the HL10 Handset Lifter (sold separately) which can be attached to your desk/office phone to complete your cordless headset system. The HL10 lifts up and replaces the handset so you don’t have to be at your desk to answer the phone or to hang up. The headset weighs 72 grams and offers up to nine hours of talk time on one battery charge. The CS510 Wireless Headset is backed by a one-year limited warranty. 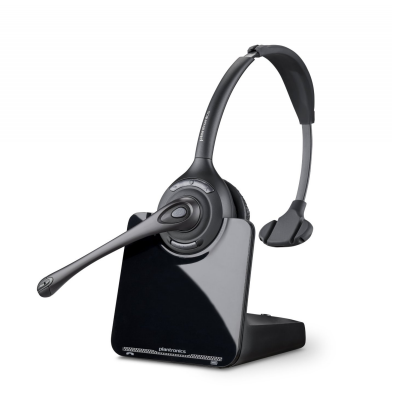 RK Communications supply Plantronics CS510 headsets & accessories to suit desk phones.